FAQ - Never Forget Your Own Inc. This section will attempt to answer some basic questions concerning Never Forget Your Own Inc. If you have a question that has not been answered in the FAQ's please email them to neverforgetyourowninc@gmail.com or post them on our Facebook page. We will respond as quickly as possible. 1. What exactly does Never Forget Your Own Incorporated do? Never Forget Your Own Incorporated fights for the rights of military veterans suffering from PTSD and other mental illnesses. We will work with our community, local, state and federal leaders to change laws and or policies hindering our veterans from receiving the help they need and deserve. We also hold community drives, that help promote the veterans well being. 2. What is the difference between a 501(c)(3) and a 501(c)(4) organization? According to IRS rules, public charities, private foundations and organizations that promote a religious, scientific, charitable, or literary purpose may pursue a tax exempt classification known as a 501(c)(3) status. Examples of these organizations include churches, youth summer camps, and museums. One fundamental difference between 501(c)(3) and 501(c)(4) organizations, is their ability to freely conduct political or lobbying efforts. These activities include attempts to help pass or repeal legislation, as well as outreach to gain public support or opposition to legislation. 3. Are my donations tax deductible? Yes, all qualifying donations are tax deductible. Qualifying according to the IRS are "donations whether monetary or in kind (services or goods) with the SMV (street market value) of $250 or more". 4. How can I donate items for "drives" if I live in another state? Unfortunately we do not have any drop off areas in other states, this is something we are diligently working on. However, you can always give monetary donations. If you are in our local area we will gladly come and retrieve the items from you. 5. Is Never Forget Your Own Incorporated founded by veterans? 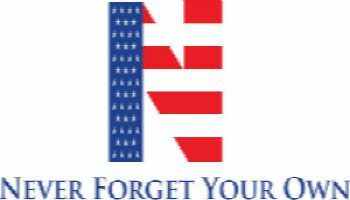 Yes, Never Forget Your Own Incorporated is founded and ran by military veterans. 6. Do I have to spend the N.F.Y.O. Incorporated college scholarship award on just books or other college fees? There are no conditions concerning the N.F.Y.O. Incorporated college scholarship, it is only expected that the funds be utilized for the purposes of furthering your education.